I decided last December that I was going to go to BlogHer 11 in San Diego and quickly purchased my ticket (and one for my best friend who is joining me this year). I didn’t actually think to much about obtaining a sponsor at that time. In January I made a last minute decision to attend Blissdom and sent out a plea for sponsors for the coming year. I never did get a sponsor for Blissdom but I went anyways (BEST decision ever)! Rockin’ Green Cloth Diaper & Laundry Detergent! That’s right…the fabulous Kim Webb of Rockin’ Green wanted to be my BlogHer sponsor for 2011. Rockin’ Green has been a regular supporter of The Eco Chic and was a partial sponsor for my BlogHer 10 trip. It’s hard to believe that it’s been 2 years since our little community on Twitter got started and continues to explode! With over 5,000 Twitter followers and over 14,000 Facebook fans Rockin’ Green was one of the first detergents exclusively formulated as a cloth diaper detergent – and they remain a leader in the industry. and I hear there are more surprises in the works including ReMix – a new improved version of the original detergents we all know and love. As always Rockin’ Green remains 100% phosphate free, enzyme free, free of fillers and optical brighteners, and continues to use only natural scents in all their products. Rockin’ Green is now a household name for most cloth diapering parents and is available all around the world – not just in the US. Rockin’ Green is sold in specialty stores around the globe including at my favorite online cloth diapering retailer, Kelly’s Closet (affiliate link). Samples start at just $1.25. So what does all of this mean for you (and me)? For starters if you are going to BlogHer 11 in San Diego this August you’ll find me in black & green sporting the Rockin’ Green logo and handing out some goodies. I’ll be hosting some contests and have some fun games for fans both at BlogHer and at home. Two lucky BlogHer attendees will even get a chance to win a Rockin’ Green Bundle of goodness! Of course, more details will follow leading up to the conference. In the meantime, you may see a few posts about Rockin’ Green, their new products, and special offers. Be sure to sign up for their latest special feature – 52 Weeks of Clean. Kim and her team will be sending out a new tip each week by mobile phone or email to help you green your cleaning routine. These tips aren’t just for the cloth diapering fans either – did you know that you can use Rockin’ Green all around your home? You can clean your sinks, your toilets, your floors, and more! I’m sure Kim will share some of these tips with us in her 52 Weeks of Clean so be sure to sign up. Want more Rockin’ Green fun? Don’t forget to follow them on Twitter and Facebook where they regularly have promotions and contests to all of their fans!! Share your Rockin’ Green story in the comments! When did you first hear of Rockin’ Green? What is your favorite retired scent? What is your favorite current scent? Which variety works best for you? How was Rockin’ Green impacted your life? 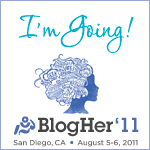 Are you going to BlogHer 11? Be sure to vote on our Room of Your Own – Natural Parenting, Making the World A Better Place for Our Kids (and Us) With Our Blogs. I’ll be updating my Conferences & Sponsors page with new information about my trip. Congrats! I love me some Rockin’ Green! I kinda knew that about you Becky! 🙂 Will you be going to BlogHer this year? We need to get going on planning this trip. Everything from clothes shopping to hotel booking to … are we taking the guys? I haven’t even looked at booking a flight. And now… we are having a party too! We have a LOT to do! Can’t wait! Believe it or not I have never tried Rockin’ Green!! I will be at Blog Her ’11 though and look forward to seeing you there in your Black and Green!!! oooh, this is so exciting :] can’t wait to see you there, friend! Wow that is super impressive & exciting!! Definitely sign me up for samples when I see you there! Can’t believe I’ve been cloth diapering 1.5 years & still haven’t tried Rockin Green! Awww, congrats! Rockin’ Green & you have a special place in my heart, but don’t think Kim knows that! lol Funny, isn’t it! lol I have to tell my story again by saying that I was the runner up of the 1st Telephone game that Kim had! And since then I haven’t tried any other detergent! @Jenny! What? 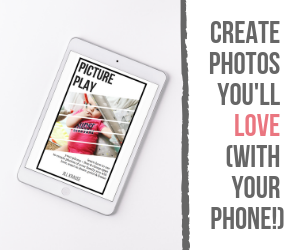 Send me an email and I’ll send you a sample! We would like to submit our Sea Pearls reusable sea sponge tampons for your review. Sea pearls are a safe, comfortable, economical, easy to use alternative to ordinary single use tampons. We have been selling Sea Pearls since 1976 to women all over the world. Please visit our website at http://www.jadeandpearl.com to read all about our unique products.